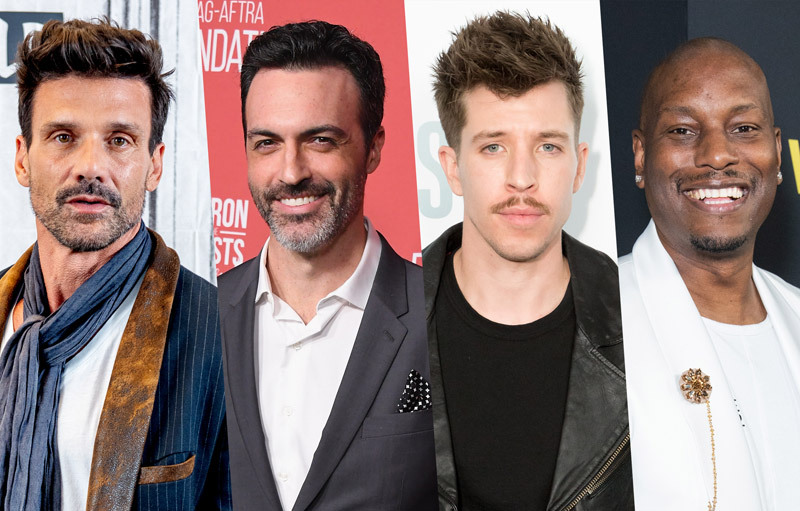 Deadline has brought word that the upcoming Screen Gems police drama Black and Blue has expanded its ensemble cast with the addition of four new members to the group including Death Wish‘s Beau Knapp, Captain America: Civil War‘s Frank Grillo, Venom‘s Reid Scott and Fast and the Furious franchise vet Tyrese Gibson. Black and Blue follows a rookie cop (Harris) in New Orleans who accidentally stumbles on some fellow officers murdering a drug dealer, an incident captured by the body cam on her uniform. When they then fail to execute her she escapes and is hunted throughout the night by the narcs who are desperate to destroy the incriminating footage. Black and Blue will be directed by Deon Taylor from a screenplay by Peter A. Dowling. Sean Sorensen will produce for Royal Viking Entertainment alongside Hidden Empire Film Group, Taylor’s own production company with partners Roxanne Avent and Robert F. Smith. Avent will serve as executive producer while Eric Paquette oversees the project for Screen Gems. Knapp, who rose to fame for supporting roles in 2014’s sci-fi thriller The Signal, 2015’s action-thriller Run All Night and sports drama Southpaw, was most recently seen in the Eli Roth-helmed remake of the 1974 vigilante thriller Death Wish, as well as the highly-acclaimed but short-lived crime dramas Shots Fired and Seven Seconds. He can now be seen in the Golden Globe-nominated crime thriller Destroyer starring Nicole Kidman, which hit theaters on December 25. Scott is best-known for his TV work versus his film roles, gaining popularity for the TBS sitcom My Boys, which ran for four seasons, as well as roles in The Big C and The Secret Life of the American Teenager before landing lead roles in the HBO comedy Veep and Netflix animated series Turbo FAST. He has recently made a push in film with roles in the 2016 indie dramedy Dean, the 2017 Reese Witherspoon-led rom-com Home Again and the box office smash Venom. Grillo has had quite the successful decade following the acquiring of bigger roles in high-profile films including the 2010 political thriller Edge of Darkness, the 2011 sports drama Warrior and the 2012 survival thriller The Grey, eventually finding his way to the Marvel Cinematic Universe in 2014 with Captain America: The Winter Soldier and the fan-favorite horror franchise The Purge the same year with a starring role in the second installment. He will next be seen in the highly-anticipated Avengers: Endgame, which hits theaters on April 26, as well as the sci-fi actioner Boss Level and drama Once Upon a Time in Staten Island. Gibson has made a name for himself in the blockbuster industry thanks to starring roles in the fan-favorite and box office hit franchises Fast and the Furious, beginning with the second film and returning for the fifth through the most recent entries, as well as starring in the first two installments of the live-action Transformers films. He has also starred in the well-received coming-of-age hood film Baby Boy, which helped him rise to popularity for his acting talents, as well as the 2005 crime thriller Four Brothers, which has amassed a sort of cult following over the years, the 2008 remake of Death Race, which was a modest box office hit, and the 2010 horror action-thriller Legion.